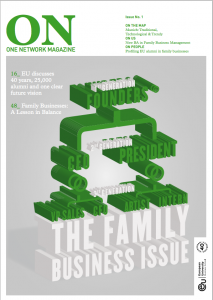 EU’s biannual ON magazine focuses on various topics related to the business world, and keeps readers up-to-date with university news and events from across our global network. 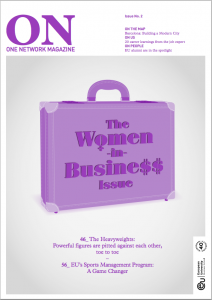 Each issue of ON features various segments. The opening ON… section is our take on the latest trends, statistics and topics in business, education and life. We then recap the latest university news and give you an insight into the latest exciting events in the ON Us section, before profiling an EU city. The main section covers the issue’s topical theme, and we then close the magazine with articles and profiles of highly-successful EU alumni.